[caption id="attachment_427" align="aligncenter" width="960"] Live downtown chic at Proxy 333[/caption] For apartment dwellers looking for a sublime mix of downtown chic and urban charm, Proxy 333 in Phoenix, AZ delivers. Each studio, one, and two-bedroom apartment home includes amenities designed to cater to the busy, contemporary lifestyle. From the sleek plank wood flooring throughout, to the solar window shades, this is urban city living at its finest. Imagine hosting an intimate dinner party in your designer-inspired apartment home. As guests mingle in the spacious living area, you put the final touches on the appetizers in your gourmet kitchen, complete with stainless steel appliances and gorgeous tiled backsplashes. After dinner, you and a few guests catch the shimmering Phoenix skyline from the rooftop deck and enjoy a game of bocce ball. When its time for a workout, step in to the state-of-the-art fitness center where you can work off the days stress and maintain your fitness goals at the cardio center. 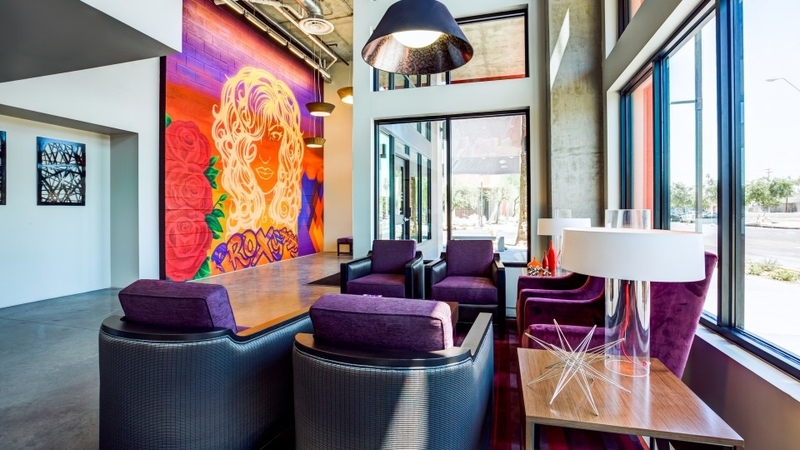 The contemporary clubhouse is the perfect place to connect with friends and neighbors before heading out to the Phoenix downtown art and music scene. Pets are part of the family at Proxy 333 in Phoenix, AZ. This pet-friendly community also offers an on-site Bark Park, where dogs can expend some energy and meet their new four-legged neighbors. Whether youre a single professional who desires a stylish one-bedroom near the Metro Rail, or a family who enjoys living close to downtown sporting events, Proxy 333 has the ideal floor plan for you. Contact one of the leasing professionals at 602-892-3333 to find out more about this classic, urban community.